Biomass should be cut to 40mm or smaller than 40mm. The humidity of biomass should be treated to 15% or smaller than 15%. 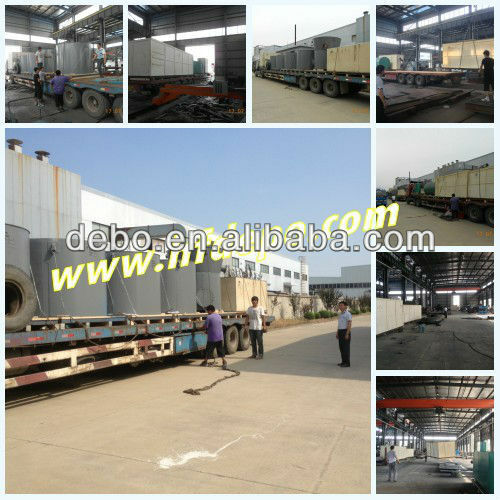 After that,Satisfied biomass is sent into biomass storage room. And at least , it is necessary to store adequate biomass which is enough to support plant to run fro one week. B.iomass is fed continuously into gasifier by feeder located on the bottom of gasifier. Under the effect of hot bed material,biomass contact with air from the bottom of gasifier . At the same time ,pyrolysis and gasification reaction happen so that biomass is converted into fuel gas .The main composition of fuel gas is CO,H2,CH4 etc. And some tar and dust are included in fuel gas . The heat value of fuel gas is 1000~1200kcal/Nm3. Use advanced Purification technology to remove dust and collect tar. At the same time, water from purification system can be recycled . Consequently , biomass gasification plant will discharge zero pollution. 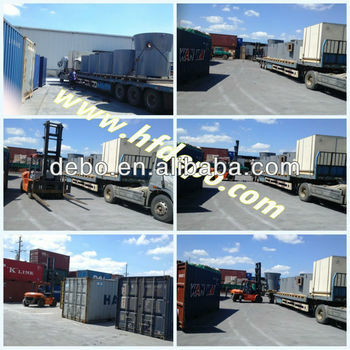 Hefei Debo Bioenergy Science & Technology Co., Ltd.